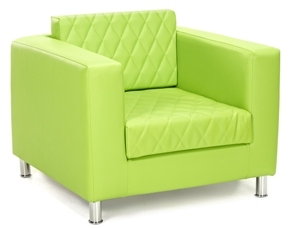 The Turin Quilted Chair is designed specifically for the education market and features a quilted seat cushion. Manufactured with a wooden frame and covered in vinyl fabric it is as durable as it is comfortable. Designed to match the Turin Sofa and Turin Stool it makes a great set of reception furniture.